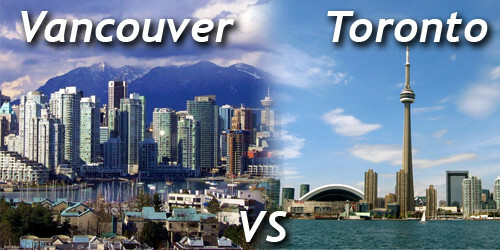 Dear Vancouver, we are wondering if what is going on with our market is the same thing you went through last year? You see, our listings continue to go up and sales have dropped off substantially. Yet the Toronto Real Estate Board just released the mid-May statistics and shared that in the first two weeks of May prices have gone up over 17% compared to the same time-frame last year. And you might want to sit down for this next stat, because the leader of the pack was none other than condominium apartments which increased over 28% in value over the same period last May. Now we should also point out that the average price of a detached home in the 416 has actually declined slightly from the end of April going down in value 1.8%. Condominium apartments did increase in value over the end of April, but to be honest at an increase of .2% it is basically a rounding error. We were happy to see that the listings in the Freehold market declined last week over the previous week. Don’t get us wrong we love to see new listings but last week happened to be the week before the last of the Spring market long weekends and well, listings are supposed to go down before a long weekend. The 46% decline in listings last week to 266 from 496 the previous week is a similar proportionate drop to those we witnessed around earlier spring holidays. It was also very interesting to note that sale numbers crept up slightly moving up 3% to 204 from 188 the previous week. The first increase in sale numbers in three weeks. We continue to see a declining number of sales that are recorded above their listed price and are hearing anecdotally that many of those sales that did go over their list price did so with only a single offer and clearly some good negotiating. The condominium market also saw a decline in new listings last week down 25% to 339 over the previous week which saw 451 new listings come to market. There was also a slight uptick in condo sales last week up 3% over the previous week. The condominium market continues to witness the decline in units selling for more than the advertised price with a meager 57% of all sales going above their listed price.